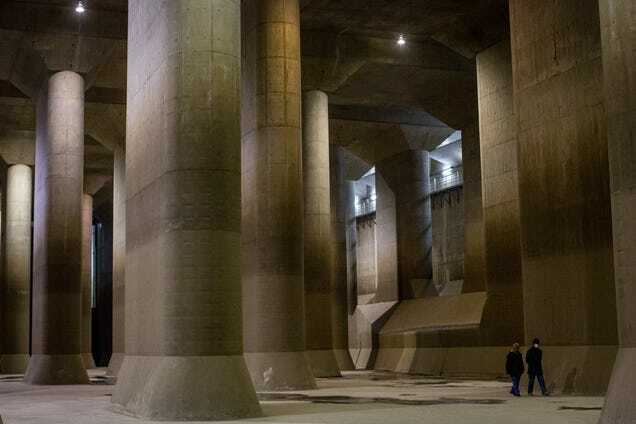 This enormous, cathedral-like building is the main water tank of the Metropolitan Area Outer Underground Discharge Channel facility in Tokyo, which is one of the most famous water infrastructure complex in the world, and also the world’s largest underground flood diversion facility. 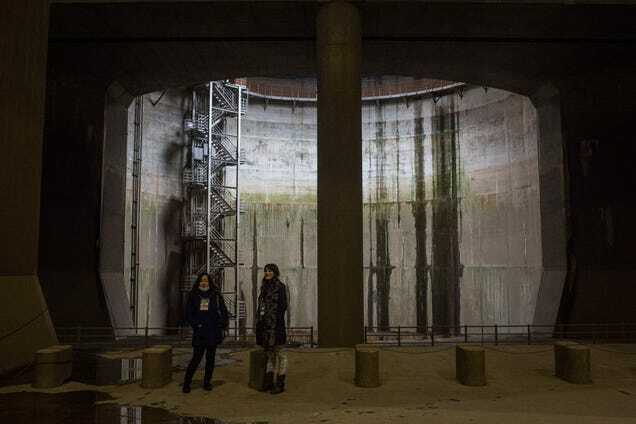 The incredibly huge pressure-adjusting water tank, you can see in the following photos is the main attraction of the facility. 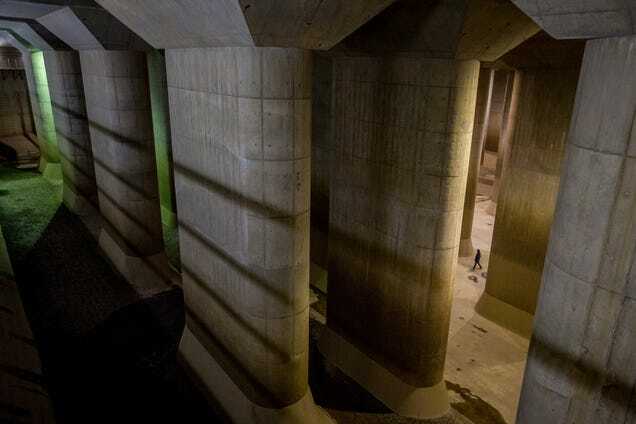 It was built 22 metres below ground level between 1993 and 2009, and it is really gigantic: 177 metres long, 78 metres wide, 25 metres high with a forest of 59 reinforced concrete pillars each weighing 500 tonne supporting the ceiling. 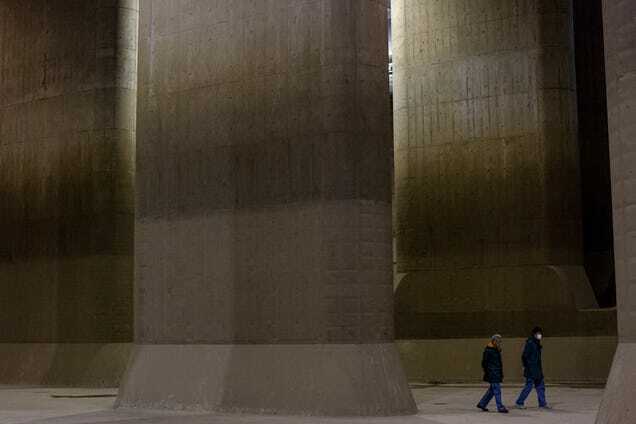 What is the point of such immense engineering and architectural effort? 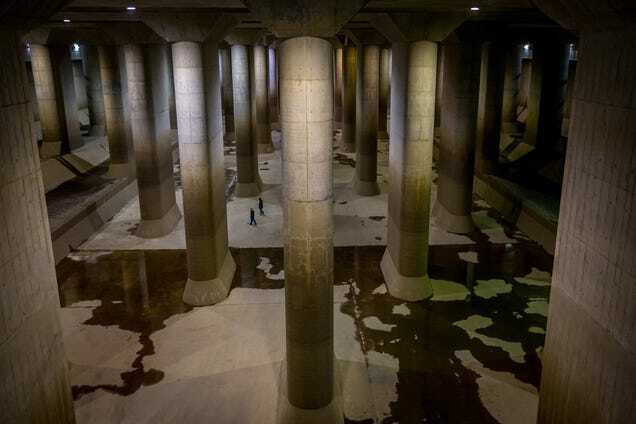 The goal is to protect the Japanese megalopolis from the increasing threat of climate-change related flooding. 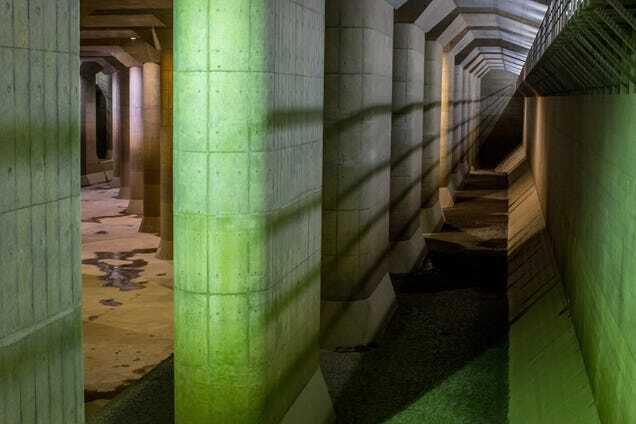 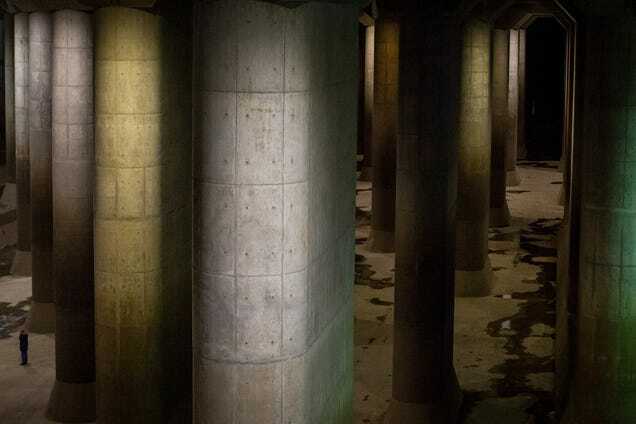 After heavy storms or typhoons flood water overflows from Tokyo’s major waterways and rivers here through a 3.9 miles long tunnel system before being pumped into the Edo river with the help of 78 water pumps each capable of delivering up to 200 tonnes of water per second. 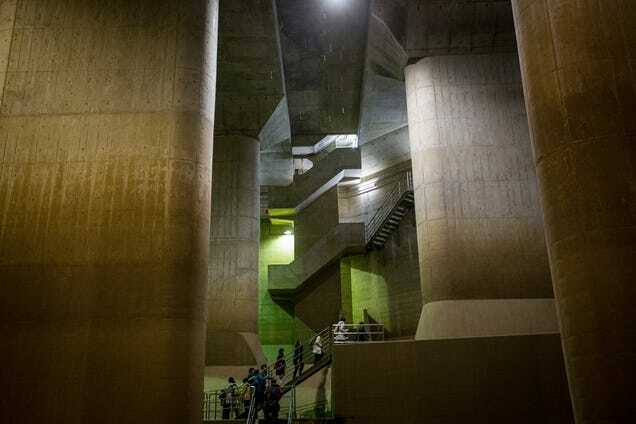 The facility is used approximately seven times a year, but when it’s not in use it’s open for the public: tourists can visit this overwhelmingly massive underground building. 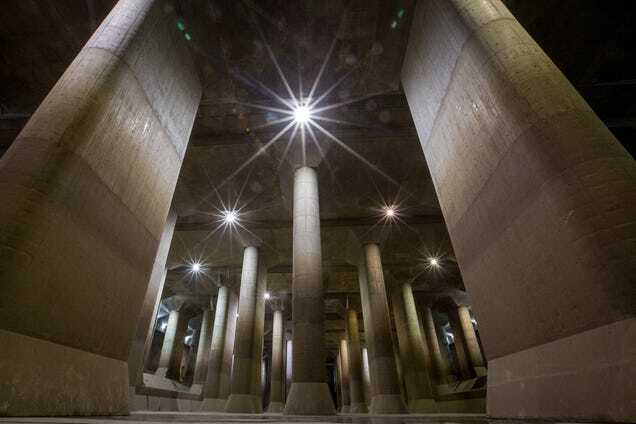 It is definitely a must-see infrastructure wonder for everyone visiting Tokyo.